K&B Flooring is Boise's Premier Hardwood Flooring Contractor. We have several hardwood flooring options for you to choose from. Our hardwood flooring team can transform your home into something beautiful. K & B Flooring can offer you right hardwood flooring elements that will improve the appearance, value and function of your business. 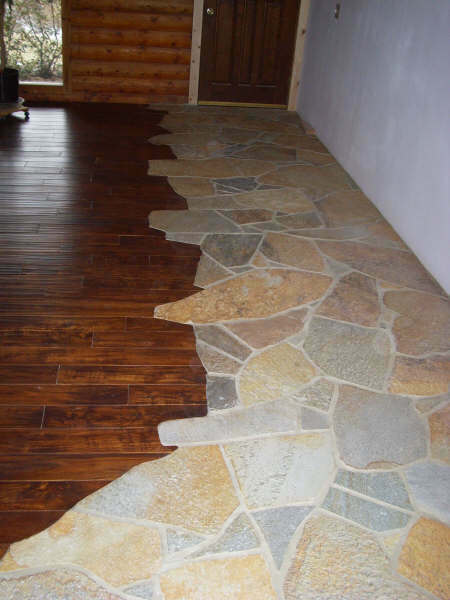 It can turn the natural features of your property into a beautiful showplace. K & B Flooring is dedicated to, and organized for delivering our portion of your project on time and within budget. Our continuing success is based on the fact that top quality work is completed every day! If you are looking for a high quality flooring contractor in Boise, then look no further than K & B Flooring. We are Boise’s Premier flooring contractor, specializing in all floor types, such has hardwood, tile, laminate, and carpet. We can install a beautiful hardwood floor in your home, using many different wood types, including bamboo, teak, Brazilian cherry, hickory, ash, walnut, and more. Just take a look at our flooring gallery for more examples of the many types of flooring we offer. Our flooring installation technicians have more than 10 years of experience in the flooring industry, so you know you can count on us to be able handle any flooring need you may have. At K & B Flooring, our philosophy is simple: Treat each customer as our ONLY customer. K & B Flooring’s reputation is second to none. From using the newest and safest in equipment to offering the highest quality products at reasonable prices, K & B Flooring brings you distinctive flooring unmatched by competitors. Our company recognizes that being in a service business means our first priority is delivering a high level of customer satisfaction. This personal attention, superior service and absolute commitment is given to each customer with whom we deal. Likewise, it’s an integral part of every job we’re hired to perform. This attention to detail is what sets us above our competition in the Boise area. Give us a call today at 208-936-1805 or click here to fill out our Online Contact Form! © 2016 K & B Flooring. All Rights Reserved.